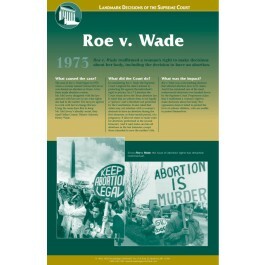 This educational poster focuses on the landmark Supreme Court case known as Roe v. Wade, one of the most important and influential decisions of the high court. It describes the events that led up to the case, the court's decision, and its impact on our nation. 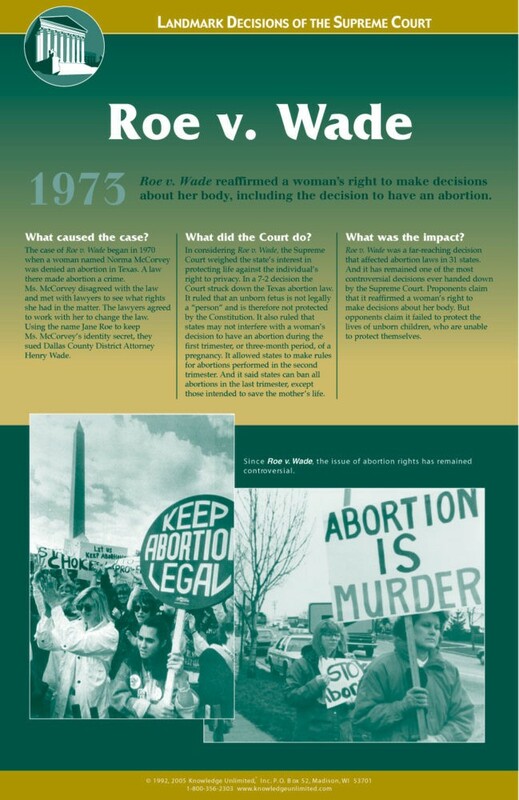 In the 1975 decision known as Roe v. Wade, the Court reaffirmed a woman's right to make decisions about her body, including the decision to have an abortion. This poster is a great way to teach students about the background of a decision that continues to be politically charged issue today.